Is it spring yet? 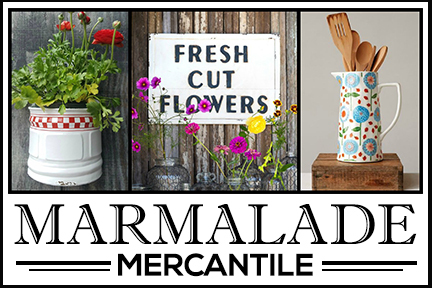 We still have a few weeks before welcoming the new season and today I’m participating in a spring printables vignette party that my friend Kristen from Ella Claire coordinated. You can visit all the other ladies in the party (links at end of post) for plenty of spring decorating inspiration. 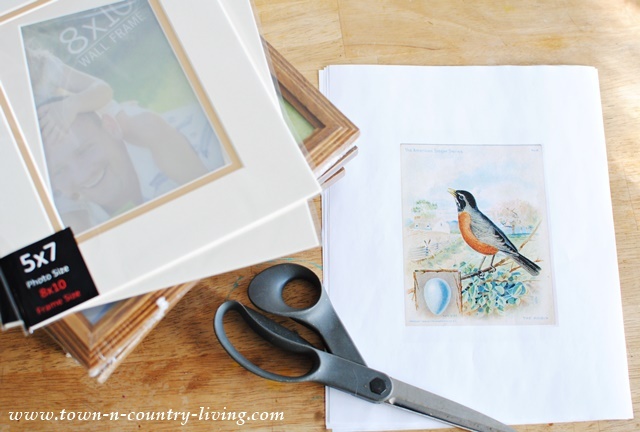 I’m sharing a bird prints vignette with free printable for you to download to make your own springtime art for your home! 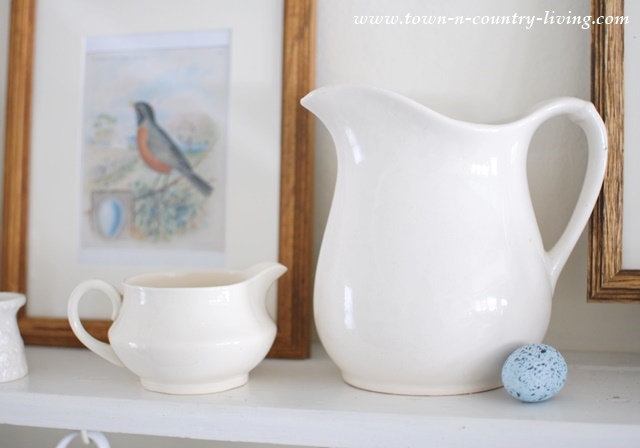 I paired my new bird prints with part of my white ironstone collection. It’s a subtle spring look. Not too pastel or sweet looking. 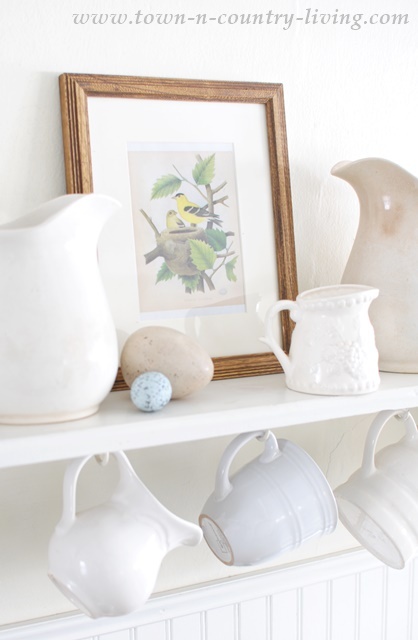 My bird prints vignette has taken over this corner of my kitchen. I like to change up this space according to the seasons and holidays. Birds always remind me of spring. Soon the robins will return. I always get excited when I see the first robin of the year. It usually happens around the middle of March. I have a total of 6 bird prints from The Graphics Fairy for you to download. The links to the prints are at the end of this post. 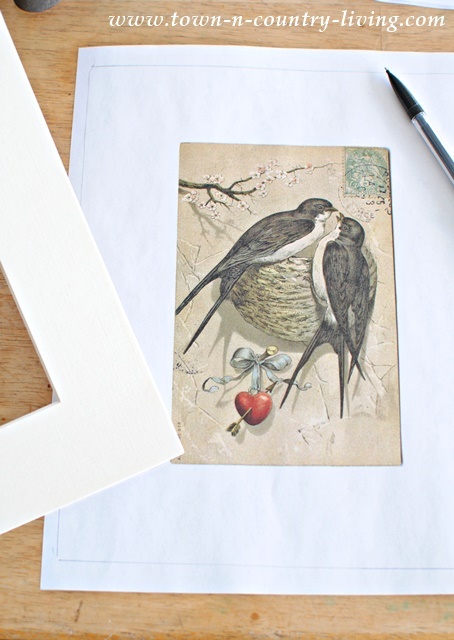 Simply print out the birds after sizing them for your frame. My frames were 8×10″ with a 5×7″ insert. You might need to cut the prints to fit your frame. 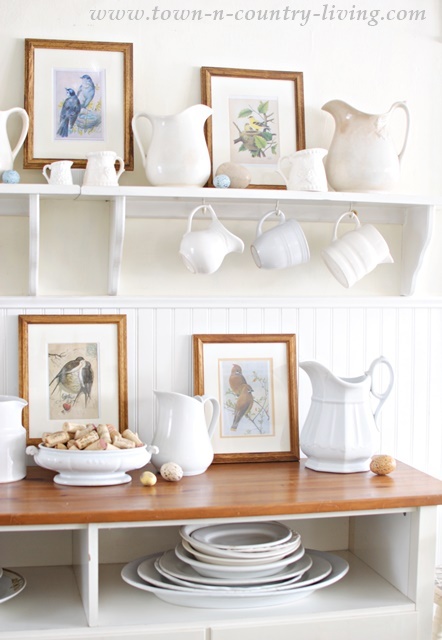 I love wood and white together and love the way the wooden framed vintage bird prints pair with the white ironstone pitchers and plates. 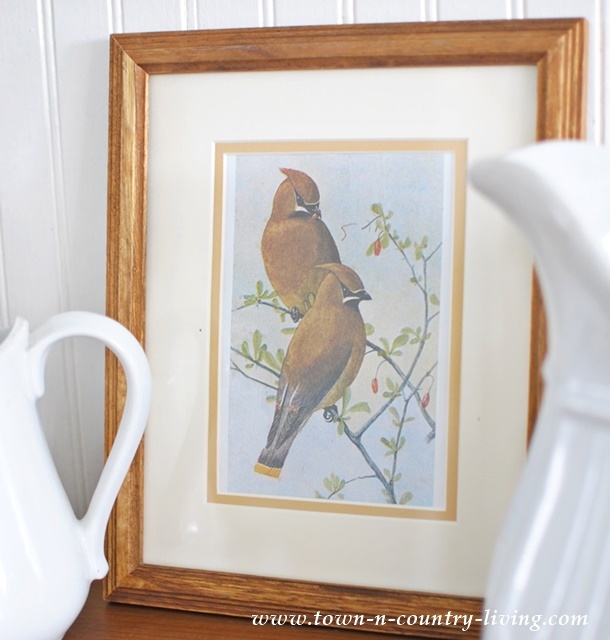 The frames were inexpensive so my spring vignette in the kitchen is economical. I can’t decide which vintage bird print I like best. 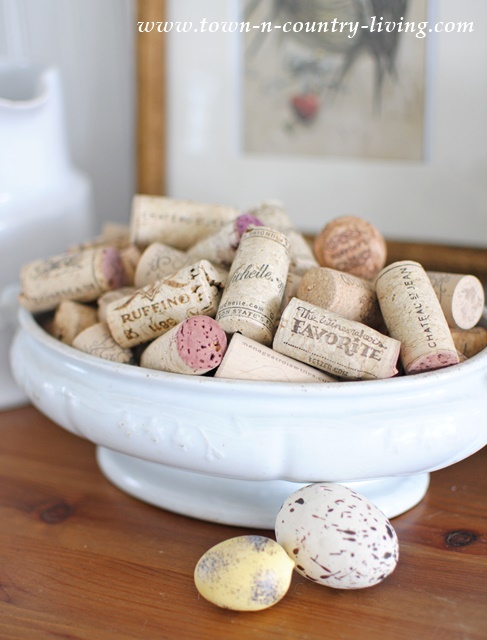 I filled my white ironstone tureen with wine corks. You can tell by the ends of the wine corks that I prefer red wine. Do you know they sell wine corks in the craft stores for a ridiculous price? I’d rather drink the wine and collect my own corks! 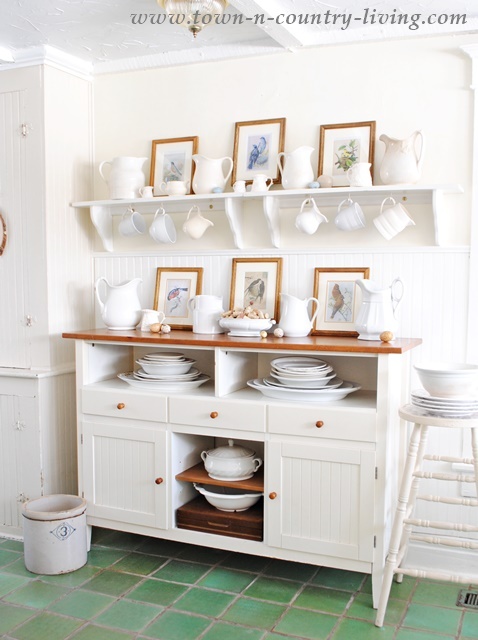 Honestly, I think anything looks good paired with white ironstone. Special thanks to Karen at The Graphics Fairy for making the bird prints available. You can download them here in either a pdf file or a Word document. If you choose the Word document, you’ll be able to resize the images. Click on the links below to save the files to your computer. Visit my blog friends for all of their free printables too! Have fun!! I love anything with birds on it! My grandmother had the most wonderful bird feeding station when i was little and she taught us to be still,move slow and enjoy the birds 🙂 thank you for the pictures! 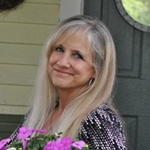 These are beautiful Jennifer and I love your vignette! What a lovely looking space. 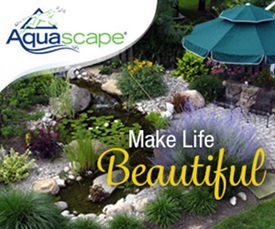 I think we are all ready for spring to arrive as soon as possible and your display is the perfect way to usher in the warm weather. Beautiful. 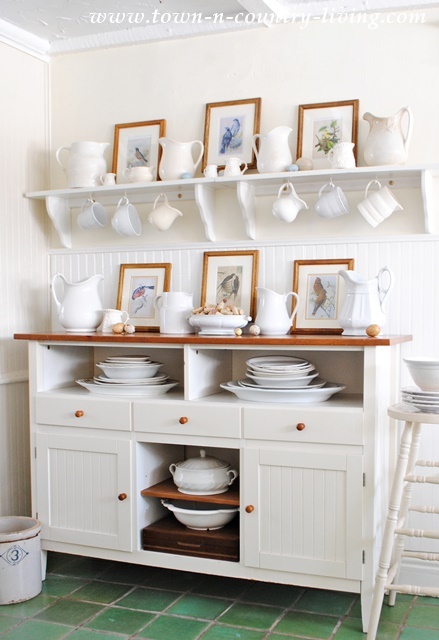 I have always admired that hutch and it is so pretty dressed for spring, love the printables! Looks very pretty and spring-like. 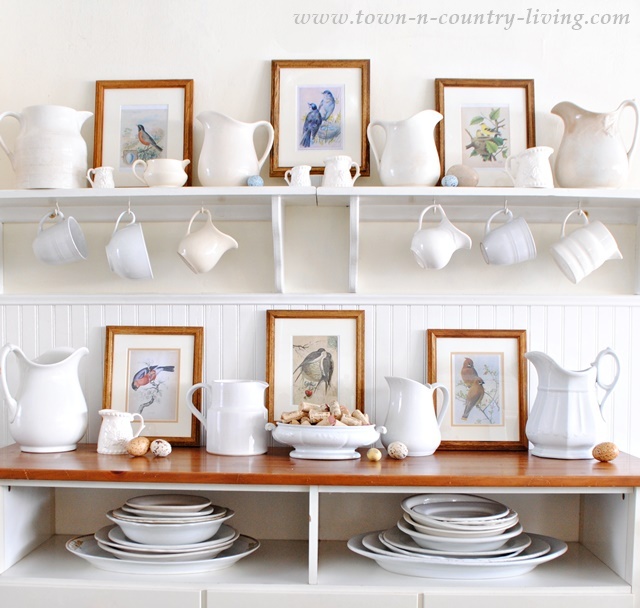 Love all your ironstone! 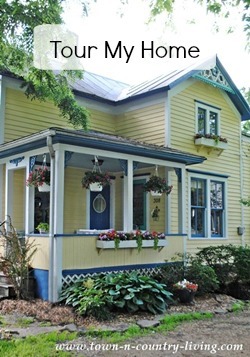 Glad to be a part of the blog hop! 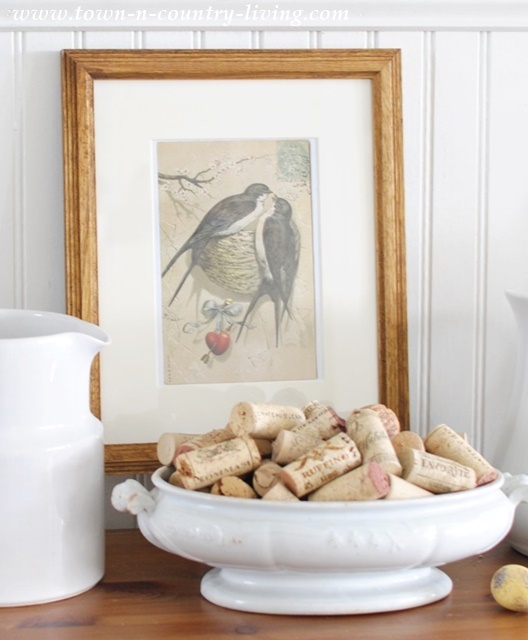 I love these sweet bird prints Jen! They are so pretty! And I love the way you displayed them. I love bird prints! Love how you displayed yours! These are so great Jennifer! I love how they look in a grouping on those shelves! They really stand out, but they feel like they could stay up year-round! Beautiful! Thanks so much for sharing these awesome bird prints. Can’t seem to have too many. 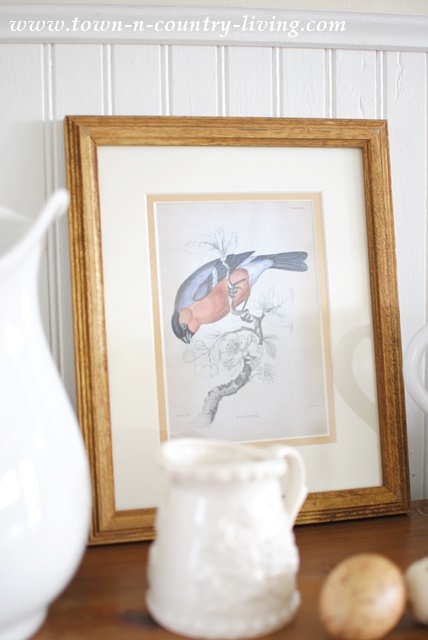 Tend to have bird art in living room, bathrooms and our bedroom. love how they look. Sure do think about Spring when I look at them. Found a frame with 3 places for photos, etc. and have bird from Graphics Fairy in each one. Found another frame/mat with 3 photo positions so will have to decide where this one will han., first one is on our bedroom wall. Found a very nicely nice done shelf at local thrift store we painted apple green and I have my ceramic birds on it. Didn’t know I liked birds so much til noticed what I’d been collecting. So glad you shared these wonderful images. Happy days Jennifer.